Giants CEO Larry Baer said both his club and Matt Cain's representatives are "both working very hard" to reach agreement on a contract extension for the star right-hander. Cain's future in San Francisco was a hot topic during Baer's web chat with fans on MLB.com (quotes passed along by Andrew Baggarly of CSNBayArea.com) and Baer stressed that the team is making every effort to lock Cain up to a multiyear deal. "Our desire is for [Cain] to remain a Giant. There’s nothing we’ve seen from him that shows his desire is not to be. We just keep plugging along," Baer said. "There’s been a lot of mischaracterizations with hard-and-fast deadline or we’re lowballing him. Those are uneducated. I can’t promise it will or won’t happen — that’s going to ultimately be the process of negotiation and Matt’s decision." "We’d like to keep the homegrown players that are performing and Matt Cain is at the top of the list." 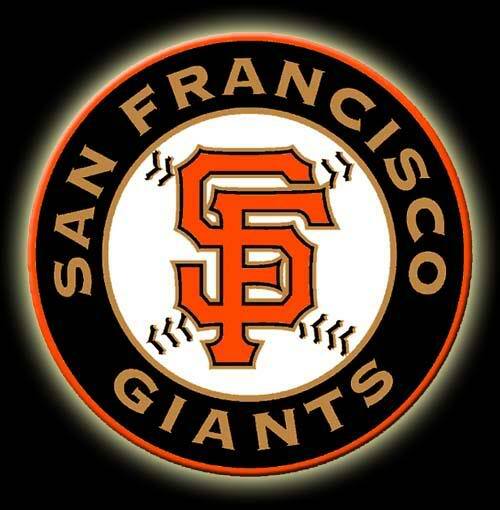 We heard last week that negotiations between Cain and the Giants hadn't yielded much progress, though the two sides had recently started talking again. Baggarly noted that the MLBPA was keeping an eye on Cain's contract given that he has already signed two extensions considered to be below-market, which is perhaps a reason why Baer made a point of saying the Giants weren't "lowballing" Cain. Still, Baggarly reports the Giants are again looking to pay Cain less than the estimated six-year, $120MM deal he'd find on the open market due to the additional risk the team would be taking on should the right-hander be injured before his extension begins in 2013. It's also possible the Giants could be waiting to see if the Phillies extend Cole Hamels, with that deal becoming the blueprint for a new Cain contract. The Giants potentially face a looming threat in the NL West now that the Dodgers have been sold and will once again have money to spend, but Baer didn't think the Dodgers' new ownership group would immediately impact next winter's free agent market. In any case, San Francisco's focus is not on free agents, but rather locking up their own players. If Matt Cain wants to be a Giant so bad, why does he play half his games in other stadiums, hmmmm? This comment just won the internet. That’s too low. He’ll be getting 20M/year most likely. Too low by 1.7 mil/year is part of the benefit of getting to him before he hits Free Agency. Especially since he doesn’t seem the type to keep a scorecard of his salary. That said, I’d LOVE to see the Union’s reaction if he signed for less than 20M/year. He definitely deserves at least that. The problem is though he isn’t willing to give the Giants a hometown discount. They’ll have to pay market value unfortunately. I would love to see Cain sign a contract below 20M/year too. Lets back into the playoffs one time and then think were baseball juggernauts. Better than serving as a farm team for the rest of the Majors, I suppose. Here we go again, the little brothers thinking they’re better than the big brother. With the Dodgers getting new owners, this little tiff potentially could turn ugly. Ya know, Magic is gonna be on Matt Cain and give him the full court press. Its one thing for the beat writers to work in all the basketball terms, but can we laymen please stop it? Its cheesy enough when they do it without us kicking in too. the last time the Dodgers bought high on a RH FA pitcher from the Giants it didn’t work out so well. i’d rather shoot for Hamels and if there was actually a budget go for Greinke as well. that being said, anything Kasten/Colleti can do to drive up the price for Cain and either get Sabean to overpay or have Cain end up away from SF is appreciated. he’s disappointed they didn’t use the club option because the team found floating bodies in his elbow. now he wants market value or more. give it to him. he’s worth it in innings and leadership alone.